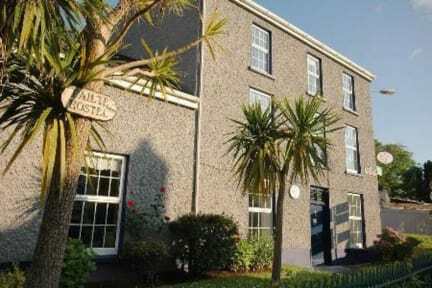 Kenmare Failte Hostel, Kenmare, Irlandia : Rezerwuj teraz! We are delighted to be awarded “The Best IHH Town Hostel in Ireland” & Failte Ireland approved since 1986, & guests consider us to be your “Home away from Home”. We are situated in the centre of Kenmare town on the corner of Shelbourne Street (a large stone building with blue door-you cannot miss it! ), opposite the Post Office. Kenmare Fáilte Hostel is the perfect base to explore the Ring of Kerry, Beara and Dingle Peninsulas. All are welcome at Kenmare Failte Hostel. We provide great value private ensuite rooms and dormitory rooms including a selection of ensuite family, double and twin rooms. Our fully equipped self-catering kitchen features an Aga cooker which is always on, creating a very welcoming atmosphere; have a free cup of tea or coffee and enjoy an interesting chat with the hostel team and other guests, especially on those cold and wet days. 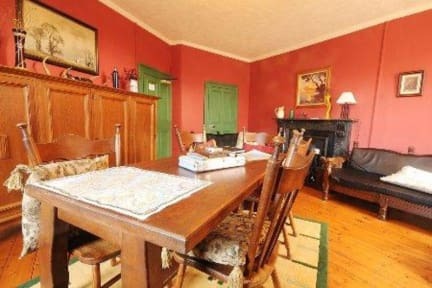 Facilities and amenities include a sitting and dining room, board games, a range of reading material, TV, a kitchen, central heating, drying facilities, free hot showers and duvets. FREE wifi in public areas on the ground floor. We really look forward to welcoming all ages. From April-Oct inclusive, 30 percent of the total amount will be charged at the time of booking - this is non-refundable. Failure to charge your card may result in your booking being cancelled. In the interest of tired travellers, Kenmare Failte Hostel has a strict curfew of 1.30am to ensure everyone has a good night's sleep. There is no entry after this time - please don't ask. Check-in: 2pm until 7pm - no later as our Reception is closed-a late check-in may not be possible and/or will incur a late check-in fee. Check-out: 10.00am. Guests are welcome to leave their bags in the hostel until their bus has arrived or whatever. We have a 72hr cancellation policy. Payment is due either 3 days prior to arrival or upon arrival by cash or credit card. Towels are not provided-they can be rented for 2 euro per towel. We do not have a 24 hour Reception so please bear this in mind. a) 30% booking deposit is non-refundable. b) 72 hours or less before date of arrival 100%.